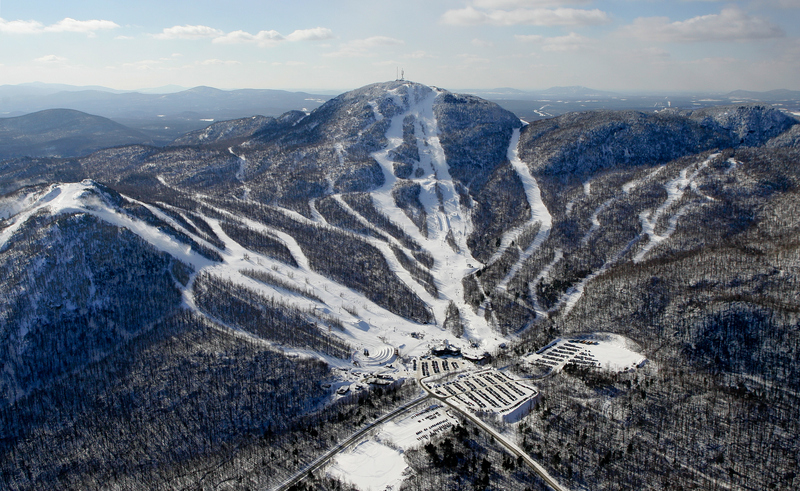 Mont-Orford stands 850 meters tall in the heart of the National Park, overlooking the cities of Magog, Orford and Eastman, and offers stunning panoramic views of the many surrounding lakes, mountains and natural landscapes. Easy to access, 5 minutes from Highway 10; 20 minutes from Sherbrooke; and only 1 hour from Montreal. Come discover, or rediscover, Mont-Orford’s beautiful and cozy winter scenery. Longuest trail : 4 km / 2.5 mi. Entouré de nombreux lacs et de forêts denses, le Mont-Orford, plus haut sommet skiable de la région, détient un microclimat favorable aux précipitations de neige chaque année.